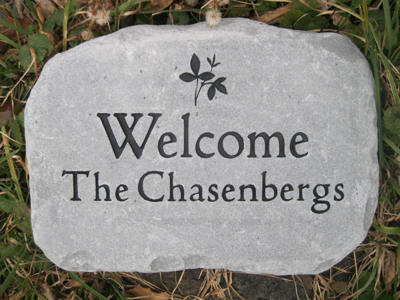 Just wanted to follow up…We received the engraved stones (amazed at how quickly the turn-around time was)! Have already given one of our gifts. Have to say, your product was top-notch! Our friends were thrilled & we were so pleased. 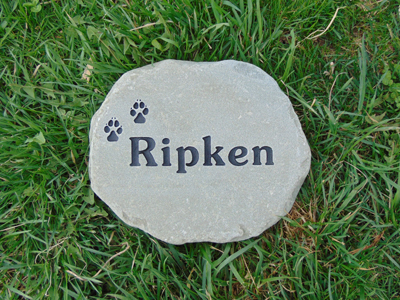 We explained that the stone was meant to be placed in (i.e.) 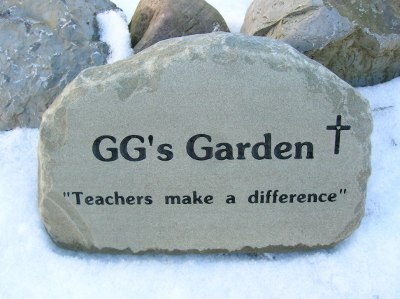 a garden, but when we arrived they had it sitting upright on their mantle! Thank you for spending the time to help out on the design and my questions. 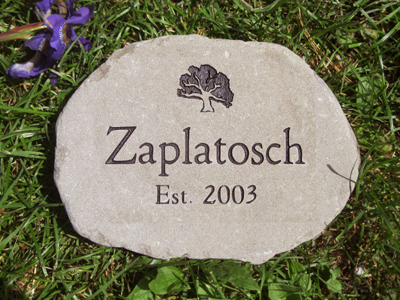 We sincerely look forward to other opportunities to gift our friends with your stones! I received my stones today and I am very impressed. 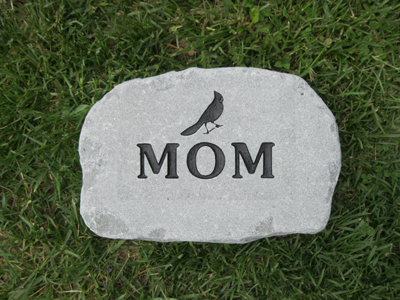 The print is very clear and I love the size and weight of the stones. You did a very professional job. Thank you for doing great work! There are several people at my work who are interested in ordering from you also. I just wanted to email you after receiving my stone yesterday. I LOVE IT! 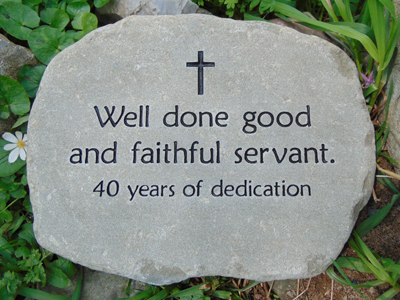 You did a wonderful job of putting all that writing on the stone so that it can be read so well. 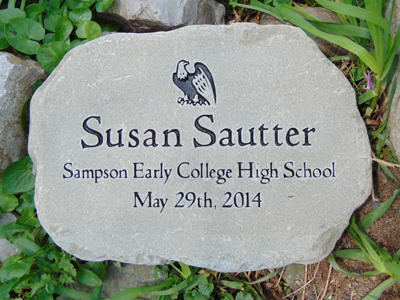 It has a special place in my new rose garden in memory of my mother, who LOVED her roses! I will take a picture and send to you shortly. I'm so glad I found your website! Thank you so much. 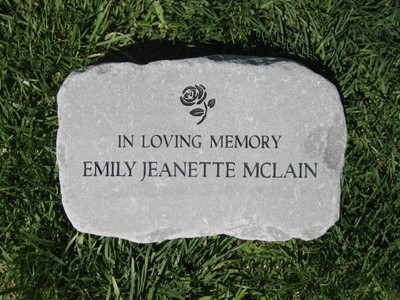 The grave marker arrived in record time and exactly as sketched out in the proof you sent me--I'm so glad I asked about a custom marker. You folks did a great job. 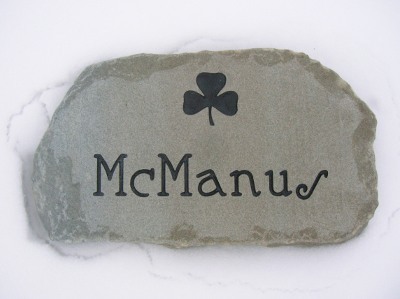 I received my stone today and wanted to let you know how much I love it! It exceeded my expectations and I absolutely love it. Please convey my appreciation for the rush job and how beautiful it is. 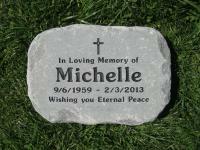 I am planning to order another stone later this week and will spread your information with all my friends. 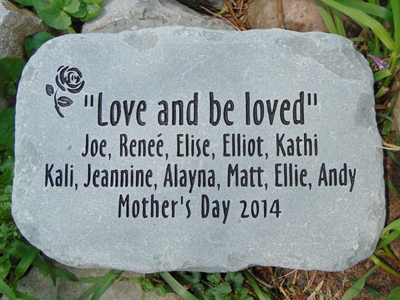 Believe it or not, you can receive one of our custom engraved stones in about a week from when you place your order. This is our standard business practice, not a service we charge extra for. What's more is we have free shipping. 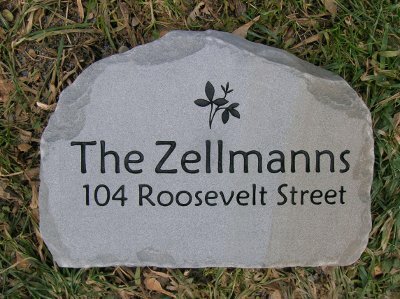 Shop around and you'll find our stones are an outstanding value. We try hard to be the type of company we like to do business with. 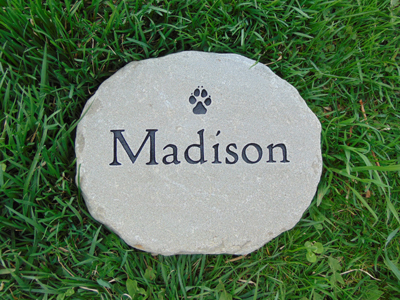 Our stones are natural bluestone and are 1.5 - 2 inches thick not a thin tile. 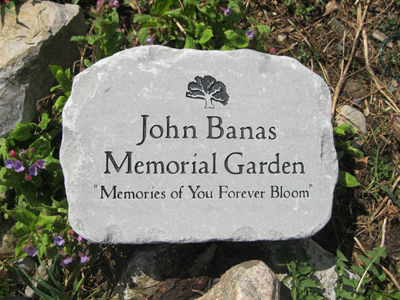 They are deeply engraved and painted with 30 year stone paint. They will last out in the weather for many years.